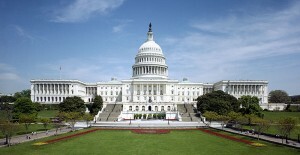 You are at:Home»Featured»Will the GOP Pull a ‘Pelosi’ on Patent Rights? Remember how you felt when Nancy Pelosi told us that we would know what was in the Obamacare bill after it had been passed by the House of Representatives? For a lot of Americans – in and out of the Tea Party movement – that quintessential expression of political elitist arrogance and contempt for the public was the last straw. It powered a revolution that cost Pelosi and her party control of the House of Representatives. Unfortunately, there was always a risk that, in entrusting the “people’s house” to the Republicans under John Boehner, there would soon be more of the same. Sweetheart deals with special interests and highly paid lobbyists engineered behind the voters’ backs. Infringement of our constitutional rights. Bills whose sweeping implications for our economy, our society, our way of life, even our national security would only become clear after they were passed. 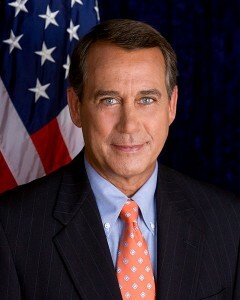 To be sure, Speaker Boehner and other Republican leaders have been at pains to allay such concerns. To varying degrees, they have tried to establish an openness and transparency with respect to the legislative process sorely lacking under the imperious Pelosi regime. They have made much of their commitment to heeding the Tea Party’s demands for change, particularly with respect to fiscal discipline and accountability. Yet, in one of the first tests of the authenticity of that commitment, the Republicans appear poised to pull a “Pelosi.” They don’t seem to appreciate that they too can be subjected to the wrath of the voters if they engage in similar behavior. Or maybe it’s just that, in the end, they really are like her: Imbued with a sense of elitist entitlement and the confidence they know better what is good for the voters than those who actually cast ballots. So much so that they believe even deeply problematic legislation can be blown through Congress, certain that it won’t matter when the public figures out what happened, because it will be too late to do anything about it. A case in point is the GOP leadership’s plan to bring a so-called “patent reform” bill to the House floor as early as next week. In fact, this legislation amounts to an effort to alter fundamentally the first right enshrined in our Constitution (it is found in Article I Section 8, before the amendments known as the Bill of Rights were added in): the right to intellectual property. And unlike the formal process laid out for amending that founding document, the patent bill has been rushed as just another piece of legislation with the most cursory of review and negligible debate, in a manner that reeks of Pelosi-esque high-handedness. The stated purpose of this bill is to “streamline” the process whereby inventors – the engine behind American entrepreneurialism and economic vitality – can be given patent protection for their products. While that sounds like an unobjectionable goal, the way it is to be accomplished is by “harmonizing” the U.S. patent system with those employed in Europe, China and elsewhere around the world. This would involve myriad changes and accommodations, some of which involve exceedingly complex and arcane matters of patent law and procedure. One change epitomizes what is at stake, however – and makes clear the real impetus behind this legislation and the business-as-usual way in which it is being foisted on an unsuspecting public. Since literally the founding of our republic, the U.S. patent system has conferred patents on those described as the “first to invent.” This approach incentivizes and rewards the innovative. It has been instrumental in making us the country we are today and the envy of the world – with unprecedented economic opportunity that has underpinned both American prosperity and liberty. The alternative to which we are now being told we must conform recognizes instead the rights of the “first to file.” Given the costs and myriad bureaucratic steps involved in patent applications, such a system generally redounds to the benefit not of the often-cash-strapped start-up, but of big multinational and other private sector and state-owned corporations. That is especially true in instances in which commercial espionage or other acts of intellectual property theft enable the well-heeled to file faster than the actual inventor. Intense lobbying has brought to the cusp of enactment a bill that is very much to the liking of those who seek to dispense with the traditional American patent process. Consideration by the full House now scheduled for next week is the last major hurdle, with all previous actions in committee and in the Senate being lopsidedly in favor. That may have something to do with the fact that reportedly no impecunious inventors, small business entrepreneurs or venture capitalists have been asked to testify by the Senate and House Judiciary Committee chairmen, Democratic Sen. Pat Leahy and Republican Rep. Lamar Smith, respectively. To date, only a few patriots, notably Reps. Steve King, Dana Rohrabacher, Jim Sensenbrenner and Senator James Risch, have expressed strenuous objections. All other things being equal, however, with very few among the public aware of the mischief afoot, let alone the stakes, chances are that legislation fundamentally and ill-advisedly amending our constitutional rights to intellectual property will be approved. All other things may not be equal, however. Several aspects of the patent bill have begun to draw attention, and fire. Some – including the bipartisan leadership of the House Appropriations Committee and House Budget Committee Chairman Paul Ryan – have lately expressed concern about the fees the Patent and Trademark Office (PTO) would be able to charge and retain to fund its operations. Another problem is the prospect that the present bill may clear the way for patents to be issued for inventions of human organisms – a moral and ethical concern of the first order. Legislators concerned about Israel should know that inventors there – one of the most dynamic drivers in that nation’s stupendous growth – are extremely dependent upon the protections afforded by the U.S. patent system, since Israeli patents are systematically ignored by other nations. There are also potential national security repercussions – particularly if, as is likely under the “harmonized” patent system, China winds up being a principal beneficiary of expanded access to, and opportunities for exploitation of, American inventions. As ever, some of those breakthroughs will determine future military and intelligence capabilities. The problems with Chinese commercial and other forms of espionage, cyberwarfare and theft of intellectual property are bad enough as things stand now; we should do nothing to exacerbate them. You heard it here first. Tea Party folks, and a lot of other Americans who do more than mouth platitudes about American exceptionalism and who actually believe in it, are going to be furious when they discover – too late, if the congressional leadership on both sides of the aisle has its way – that we have yet again done what international elites the world-over demand: dumbed down, compromised and mutated our sovereign way of doing things in order to conform to “international” dictates. While patent rights may seem an unlikely basis for Republicans in Congress to find themselves repudiated by the Tea Partiers and others who “threw the bums out” in November 2010, they persist in Pelosi-style legislative malpractice at their own risk. For their own political survival, if not the many substantive reasons enumerated above, John Boehner and his team would be well advised to take the time necessary to conduct full and thorough hearings before tampering with our constitutional right to intellectual property. Previous ArticleThe Killing of Unborn Children with Down syndrome – A Crime Against Humanity?